When President Trump slapped new trade tariffs on Chinese imports in late 2018, it was hardly a shock to anyone familiar with the businessman-turned-president’s ruthless approach to deals. Increasing tax from 10% to 25% on goods over $250 billion, the tariff threatened not just a long-standing trade relationship between the US and China, but a supply chain which is increasingly global. Shortly after the announcement, the OECD downgraded its global growth forecast from 3.7% to 3.5% for 2019-2020. A single decision, albeit from the US President, had reverberations around the world. 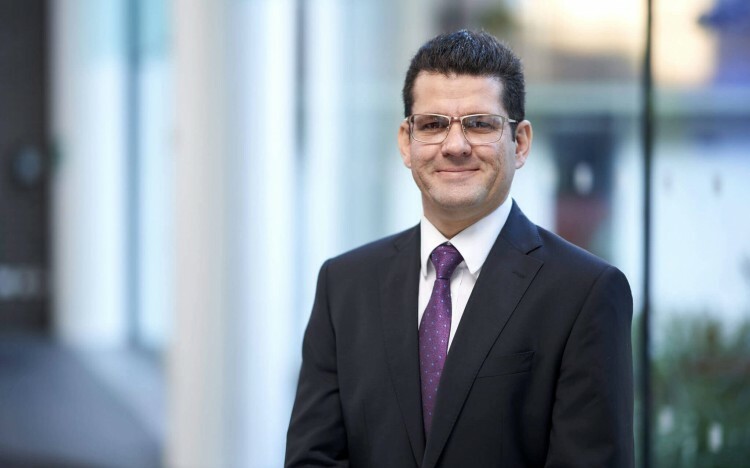 "Brexit will change the way businesses are run"
“Management needs to be thought about globally,” explains Breno Nunes, a professor from Aston Business School. Globalization has forced a huge rethinking of multi-national business models, particularly with regards to strategy, location, product design, and logistics. Preparing his students for a global approach to business operations will be the central focus of the new degree program Breno is leading—a Master’s in Global Operations and Service Management—commencing at Aston in the UK in September 2020. The UK, in the coming months, is gearing up to leave the European Union. As the country prepares for uncertainty post-Brexit, businesses will be forced to rethink, renegotiate, and reposition themselves in a global sense. Case in point—in February 2019, Nissan made the decision not to manufacture its new X-Trail model in the UK, having been based there for over thirty years. “[Brexit] will change the way British business will need to be run”, Breno warns. The radical shift will affect thinking about location, imports and exports, and logistical routes—essentially, an entire reconsideration of international business models. “The emerging markets are not only influencing product design of western companies but also playing a vital role on their innovation strategy”, Breno adds. The Global Operations and Service Management MSc at Aston Business School aims to provide an in-depth understanding of advanced strategic operations, on a global scale, familiarizing students with the strategic thinking needed when designing, producing, transporting, and selling a product for a global market. Most importantly, the course will introduce students, especially those from manufacturing and engineering, to servitization—a crucial component of global operations. Servitization is the “package of advanced service solutions” which surrounds a product. A car, Breno explains, comes with a warranty. Whether this is to replace parts or provide customer service, it maintains access to the customer which goes beyond the initial cash transaction. For Breno’s students, grasping this complexity of service management, and how it takes place on a global scale, may be crucial to their “ability to survive in a global market”. Global ambitions require understanding and adapting to different national environments and cultures – a key feature of a successful business model. The growth of global operations and services is not a new phenomenon—it has been growing in the developing world for decades. This is particularly true in countries like China and India, where services is often the biggest contributor to GDP. In India, the services industry accounts for over half of the country’s total GDP. While the initial class size will be around 15-to-25 students, Breno expects to see this growing as students find a greater need for the specialized knowledge of operations and services. For a diverse student body, like at Aston Business School, there is a clear demand for a master’s program which views management as global, teaching students how to work in organizations spread around the world. This is combined with Aston’s, and Birmingham’s, historic links to manufacturing. “These emerging countries require people’s expertise in global operations—to help redesign their supply chain and to rethink location and anticipate the possible negative environmental and social issues, for example,” Breno notes. In addition to his global research, Breno’s international experience in both South America and Europe as an entrepreneur—having seen how industry and services differ internationally —equips him well for understanding the global model of businesses these days. And with the impending uncertainty of Brexit in the UK, and the business instability which will surely follow, the need to prepare professionals and businesses for global shifts is urgent.